An incredibly inclusive and interactive experience for anybody. 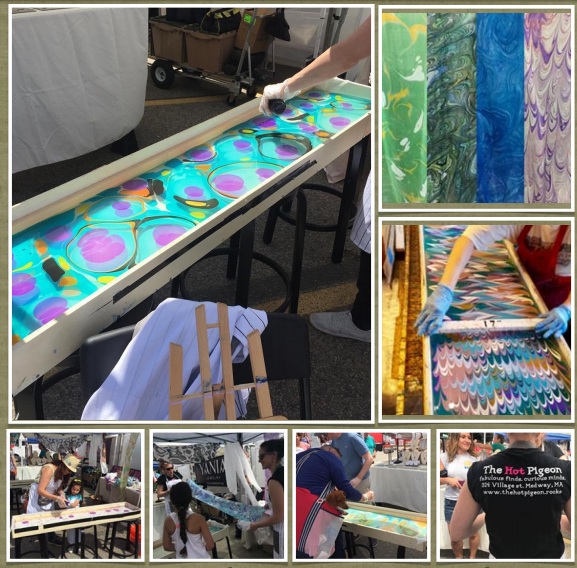 Join Anne Brady and Jenne Nitishin to create a one-of-a-kind silk scarf through the magic of “floating ink” on water. The magic of marbling can be mesmerizing and keeps people engaged with each other when watching others create their own designs. Every scarf is one of a kind because it’s hand made by you!! !